You can make your back yard patio more private with great screens that you can build yourself. 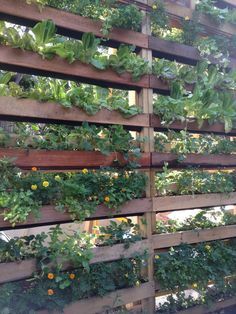 It’s easy enough to be creative and combine them with flowers, hanging pots, an herb garden or anything else you would love to have around your patio. Just like that you’ve got a natural, outdoor enclosure to enjoy! It adds a lot to your patio space and give you hours of much needed relaxation and a place to recharge your batteries. Check this article at thegardenglove.com for tips and ideas on DIY patio screens.